Already own a home in the Waverly Manor subdivision? Thinking of selling? Click here and read about current search trends & our web network. 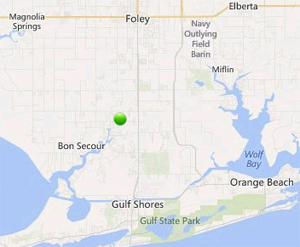 Waverly Manor subdivision is located in Southern Foley, AL near the Gulf Shores area. Waverly Manor is close to both downtown Foley and Gulf Shores and all of the numerous restaurants, shopping outlets and entertainment venues. Other areas of interest are the Gulf Shores Zoo, Oyster Bay, Little Lagoon, the Gulf Shores State Park and numerous golf courses. Because the Foley Beach Expressway has been connected all the way to I-10, travel to various parts of the area including Mobile, AL and Pensacola, FL, both of which have regional airports making travel easy and convenient. Please let us know if you would like additional info such as, pictures, subdivision bylaws, recent sales figures by emailing info@condoinvestment.com or call (251) Area-Pro (251-273-2776) for immediate assistance or to schedule appointments to view current listings in Waverly Manor or other properties in the area.